Easter is an important celebration in Romania, a time when most people step out of the swift pace of daily commitments and preserve some of the customs associated with this holiday. Below is a list of local destinations that can offer travelers an insight into old local Easter customs but also plenty of sights worth exploring. 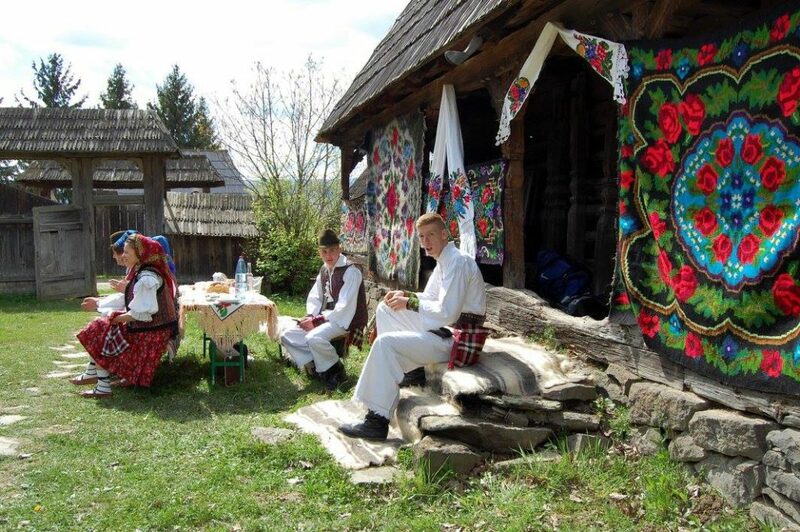 The north-western Romania region of Maramureș is one of the places where traditions are still embedded in daily life. An Easter visit here can mean an opportunity to see the eight wooden churches that have been placed on the UNESCO world heritage list, or the Merry Cemetery in Săpânța, where brightly painted tombstones have verses inscribed about the stories of the lives of the deceased. But it can also be a chance to see how the villagers in the region prepare and celebrate Easter. Two weeks before Easter, on Annunciation Day, in rural households outdoor fires are lit, after the cleaning of the garden, so that the family is protected from trouble and illness. Then, on Palm Sunday, people take green willow branches to the church to have them blessed by the priests. Upon returning home, they place the branches high up on the house wall and keep them throughout the year. On Easter day people wear their best clothes, and the traditional wear here is a sight to see in itself. In the area of Lăpuș, people commemorate their deceased loved ones with Masa Moşilor (The Feast of the Old), when food alms are given away. Also in this region, eggs are painted using a special technique. They are treated with wax, then decorated with floral or religious motifs, and afterwards painted with various colors. Besides the red or painted eggs, the Easter meal also includes lamb dishes and Pască, baked with flour, egg and cheese. After the Easter sermon, people take the food that has been blessed by the priests as well as the Easter light to the cemetery, and place them on the graves of their relatives so that their paths would be lit throughout the year. The light is brought home as well, with the same belief. Before getting there or to help plan your trip, you can explore the area with the help of this dedicated English-language app. With its beautifully-painted old monasteries, Bucovina is a good choice for an Easter holiday. The visitor can dedicate one day or more to the monasteries of Voroneţ, Moldovita, Mănăstirea Humorului, Suceviţa or Putna. These places offer night accommodation and the chance to see how monks and nuns live and work there. 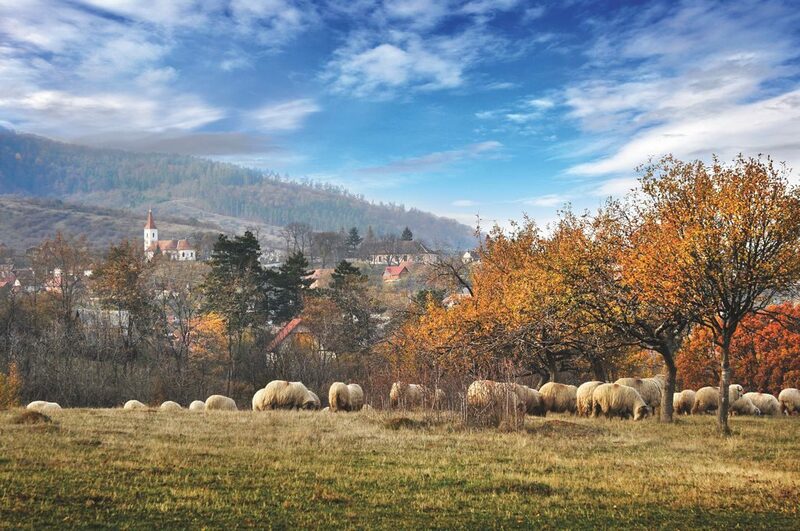 Just as in Maramureș, the painting of the Easter eggs is a craft passed on from generation to generation, and in some places tourists can participate in workshops dedicated to it. The traditional Pască is baked for the holiday, and the egg shells of the eggs used to bake it are thrown down the river to announce the coming of Easter. A habit encountered in Maramureș as well is to have all family members wash their faces upon arriving from the Easter sermon using water from a basin where a red egg and a silver coin have been placed. The egg is placed there so that everyone is as red and healthy as the egg, and the coin so that they would be as rich and clean as silver. Another habit on the night of Easter eve is to keep the lights on in the house and in the yards to mark the miracle of the Resurrection. Those who go to church, bring home the Easter light and also take it to the graves of their dead relatives. Here, and in other parts of the country, the second day of Easter is when young men come to sprinkle water on the women they would like to marry. The custom is believed to be related to the symbolism of fertility and the rebirth of nature. 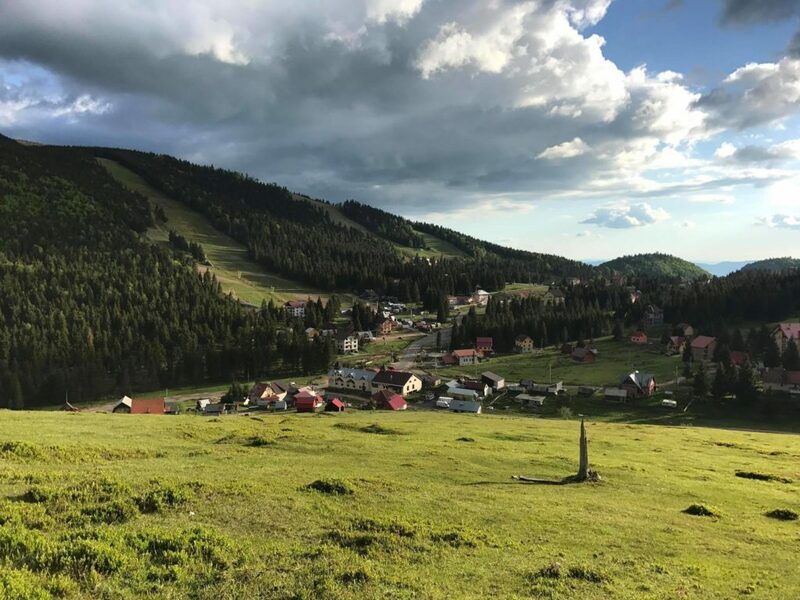 Mărginimea Sibiului, in the south-western part of Sibiu county, is home to almost twenty villages and localities with a history that goes far back in time. It is a land of alpine pastures, continuous shepherding and transhumance. Some of the region’s most famed products are the cheese products such as ‘telemea’, ‘urdă’, and ‘caș’. In recent years, many guesthouses have appeared in the region, which was one of the 20 European destinations to receive the EDEN Destinations of Excellence Award in 2015. Here, on the Saturday before Palm Sunday, people go to church carrying willow branches, which, upon being blessed, are brought to the cemetery, placed inside houses, or in the stalls of animals in order to bring wealth. On Maundy Thursday, women paint the eggs using colors made out of red onion peels or beetroot. The village of Rod has a different habit for the day of the Easter. At this time, the young who married a year before receive pottery gifts. Another custom in this village is to bring an Easter meal to the cemetery, with the food that has been blessed by the priests. Eggs are cracked close to the graves so that the dead can feel the celebration of the Resurrection. The inhabitants of 12 villages north of the town of Câmpeni, in Alba county, are considered to make up the core population of Țara Moților. 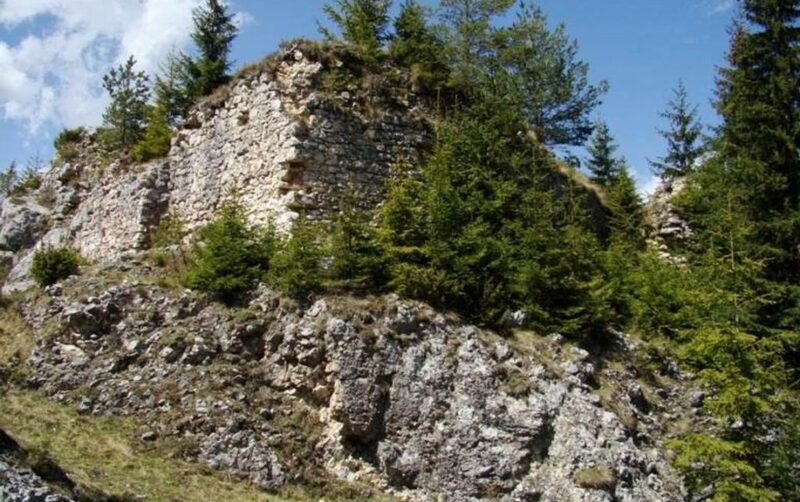 In some descriptions this region is wider, encompassing parts of the Alba, Arad, Bihor, Cluj and Hunedoara counties and of the Apuseni Nature Park. The city of Alba-Iulia can make a good base for exploring the area. There are plenty of sights to see in Alba Iulia as well, among them the Alba Carlolina citadel. One particular custom associated with Easter in Țara Moților is that of safeguarding the toaca. Toaca, the piece of wood used to sound the beginning of the religious service is taken to the cemetery and kept safe from thieves. If they fail in their mission, they have to host a copious meal. If they succeed, the failing thieves are responsible with the feast. In either case, a hearty meal is in the cards. For further sightseeing, there are over 800 caves in the area. Some of the best-known ones are Scărișoara, Focul Viu and the Bears' Cave. Six kilometer away from Turda, the Turda Gorges Nature Reserve is a sight exploring, as are the oak, beech and spruce forests here. In the Argeş region, the Easter comes with a special product: the egg bagel. These bagels are made with plenty of eggs and are then shared with a red egg placed in the middle. If in Argeș, you can stop in Câmpulung Muscel, a former capital of the historic region Wallachia. There are a lot of monuments to visit here: the city museum, the ethnography and folk art museum, the history and arts museum, the Prince Negru Voda monument and the monastery and the cathedral built by the legendary first prince of Wallachia, Negru Voda in 13th century, or the Flamanda church (named the Bride’s Church). The city can be also visited on the way to the Bran pass and Bran area.